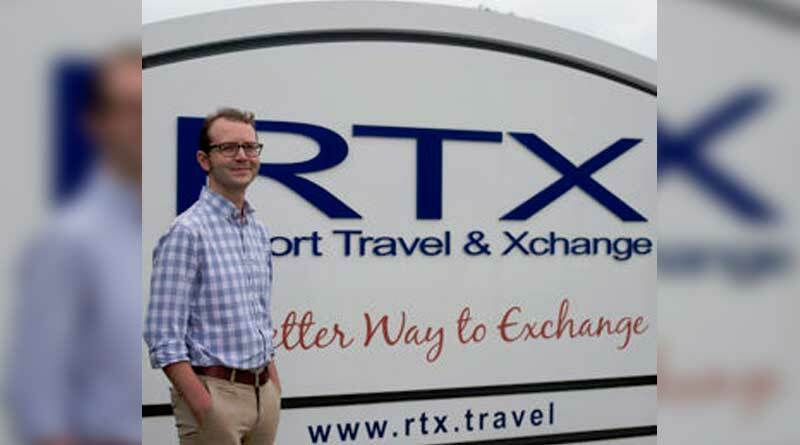 Resort Travel & Xchange (RTX), a leading vacation exchange provider that offers customer-centric solutions for its partner resorts and management companies, awarded Charles Clapp with its 2nd Employee of the Quarter award of 2016. RTX is a rapidly growing timeshare and vacation ownership exchange company that offers its members three levels of membership to choose from and also provides customized customer focused solutions to its partner resorts and management companies based on their current needs. The company’s popular vacation exchange platform offers up to a four-year deposit window, low exchange fees, and additional travel perks such as discounts on hotels, air fare, car rental, restaurants and airport lounge memberships. The company’s continued dedication to recognizing its employees’ hard work and commitment to its members and clients was expanded earlier this year with the launch of the Employee of the Quarter program. This program is designed to recognize those employees whose actions and efforts have gone above and beyond their normal duties each quarter. The 2nd Quarter of 2016 award was recently presented to Charles Clapp who joined the company in March of 2015 as a Customer Solutions Specialist and as a representative in the Weeks Department before moving to his current position of Verifications Specialist. His willingness to help without hesitation, and his commitment to providing great service to his clients and members, as well as his fellow employees throughout the company, earned him this recognition. “Charles was nominated and selected as Employee of the Quarter for several reasons. He is committed to providing great service not only to our members, but also our employees. We are grateful to have him as part of our team,” said Jeramie Arlington, senior operations manager for RTX. In addition to his excellent interpersonal skills and verification methods, Clapp goes one step beyond by lending his Spanish speaking skills to the company’s repertoire. With his dominion of this second language, Clapp handles calls with Spanish speaking owners and members while also assisting RTX, as well as its partner companies, with the translation of legal documents back and forth between the languages. Clapp has also provided additional assistance to the company’s efforts by way of his Spanish recordings for the company’s phone lines and systems. In addition to the Employee of the Quarter program, RTX has also standardized its Employee Recognition program, which is based on the time of service each employee has with the company. This program recognizes the efforts of employees as they reach certain milestones with the company and also recognizes those employees that show a high level of dedication to the company and its members. Employee milestones vary and they receive their first special recognition when they’ve worked for the company for 90 days and then subsequently when they reach 1 year, 5 years and 10 years with the company.